All Hideout homes currently listed for sale in Hideout as of 04/23/2019 are shown below. You can change the search criteria at any time by pressing the 'Change Search' button below. If you have any questions or you would like more information about any Hideout homes for sale or other Hideout real estate, please contact us and one of our knowledgeable Hideout REALTORS® would be pleased to assist you. "To be built model home in Golden Eagle. This new community offers luxury living in one of nature's most breathtaking locations. This single level living floor plan comes with a gourmet kitchen, spacious great room with a warming gas fireplace, and a semi-formal dining area. The Master Suite has a sitting area, fireplace and access to a large back patio with a fireplace to enjoy quiet time after a long day of work or play. Three additional bedrooms with walk-in closets and private bathrooms are just a few of the special features this home offers. The mountain development will have a community gathering space with kitchen, bathrooms, indoor and outdoor spaces plus a fire pit to relax around and share the day's events with family and friends. Come this Winter to experience the greatest snow on Earth in our 6,900-foot elevation mountain town." 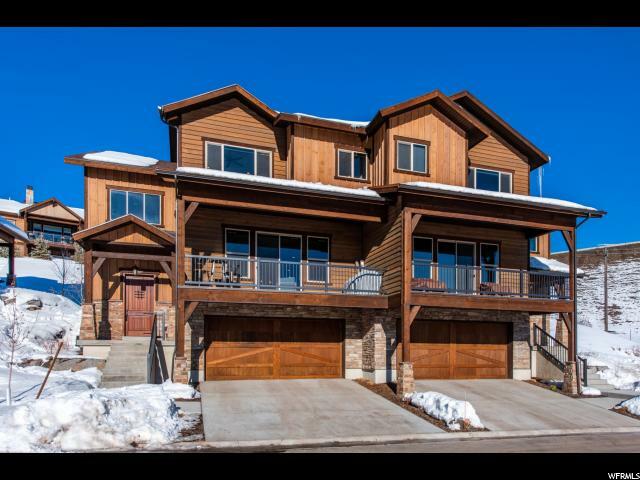 "New Construction home in Golden Eagle. This new community offers luxury living in one of nature's most breathtaking locations. This single level living floor plan comes with a gourmet kitchen, spacious great room with warming gas fireplace, and semi-formal dining area. The Master Suite has a sitting area, fireplace and access to a large back patio to enjoy quiet time after a long day of work or play. Three additional bedrooms with walk-in closets and private bathrooms are just a few of the special features this home offers. The mountain development will have a community gathering space with kitchen, bathrooms, indoor and outdoor spaces plus a fire pit to relax around and share the day's events with family and friends. Come this Winter to experience the greatest snow on Earth in our 6,900-foot elevation mountain town." 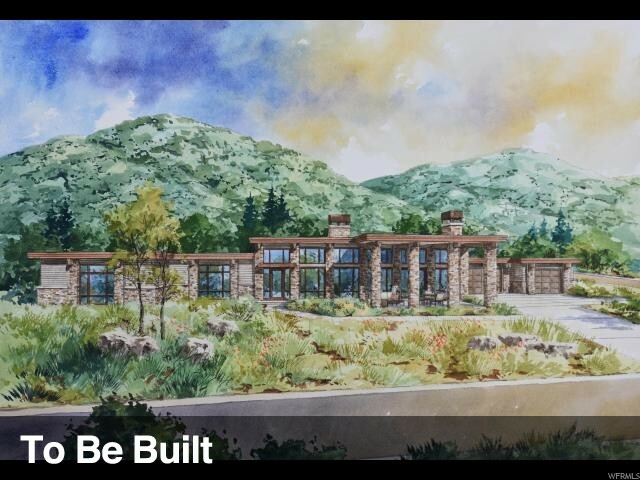 "This listing is by a design/build custom home builder, therefore the renderings on this listing are not for a specific home, but examples of what can be built on this lot, with approximate square footage for the listed price. It includes all cost and upgraded features: (ie: the lot, improvements costs, the permit, our fee and the construction of the home with high-end features.) There are NO floor plans because each home is designed to meet the specific needs and wants of our clients. Working with our in-house architect together you will decide the style, the exact layout and design of your home. If you decide to build something larger or smaller the price will adjust accordingly. Our team will help you throughout the entire process; but initially we will provide you with the information you will need to be able to make an informed decision. We will work worth you until the floor plans and elevations are exactly how you want them and provide you a line-item budget. You are NOT committed to build with us until you know exactly what you are getting, for what price. This process works the same on this lot or any other. This lot is located in beautiful Promontory in the Aspen Camp neighborhood which close to the heart of the community. *This price inlcudes the price of the lot, lot improvement cost and the cost to build the home." 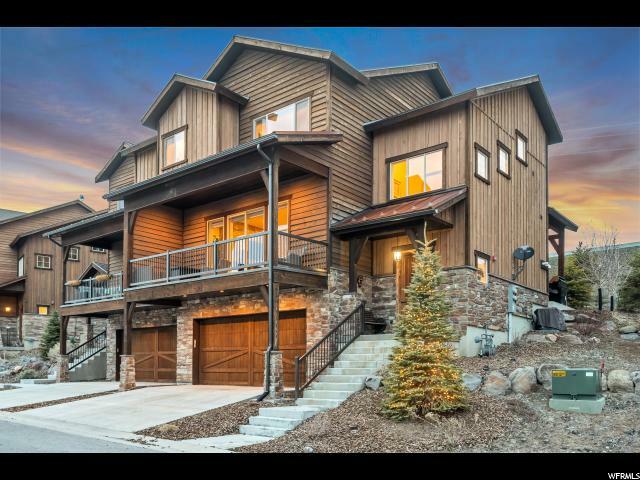 "An all-season home that combines a stunning location with the indoor comforts and style that Park City has become famous for. This home, just minutes from the Deer Valley gondola in the exclusive area of Hideout, is a cut above the rest. This is a property that holds privacy as a core value: from the electric, double-locking front door to the custom designed solid core interior doors. Each room becomes its own private oasis, and everywhere you turn, there's a designer accent to fall in love with. The kitchen, for example, is the absolute heart of this home. The large island was designed to for dramatic impact, and is purposefully quadrilateral (uneven on each side). While entertaining, each side of the island puts you in direct view of a stunning outdoor scene. Step out onto the maintenance-free veranda, and wonder in the vistas that surround you. Rolling mountains, lush green golf course lawn, and the shimmery Jordanelle Reservoir. With so many other amazing features spread out over three glorious levels, this is a home best experienced in person. " 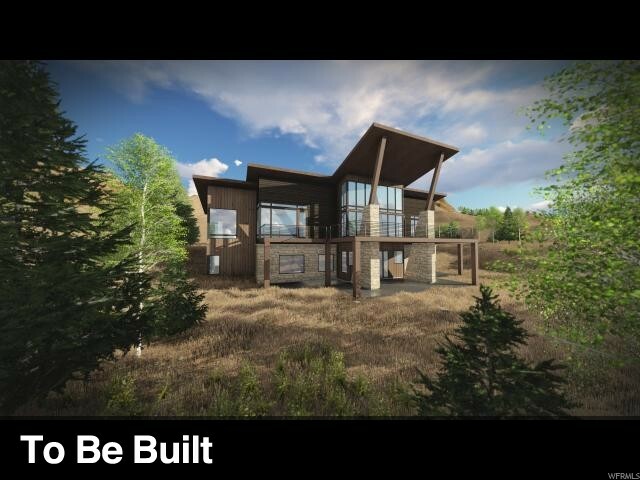 "This to be built home in Soaring Hawk is not to be missed! Enjoy panoramic million-dollar views of Deer Valley Resort and the Jordanelle Reservoir. This two-level home will feature 4 bedrooms and 3.5 bathrooms over 3243 sq ft plus a 675 sq ft garage. The home offers a large great room, a cozy fireplace, and a large deck to enjoy the gorgeous views. The main level master offers another fireplace, large en suite and walk-in closet, and an additional access to the deck. On the lower level you'll find a family room, wet bar, additional deck for entertaining and enjoying the view, and three bedrooms. 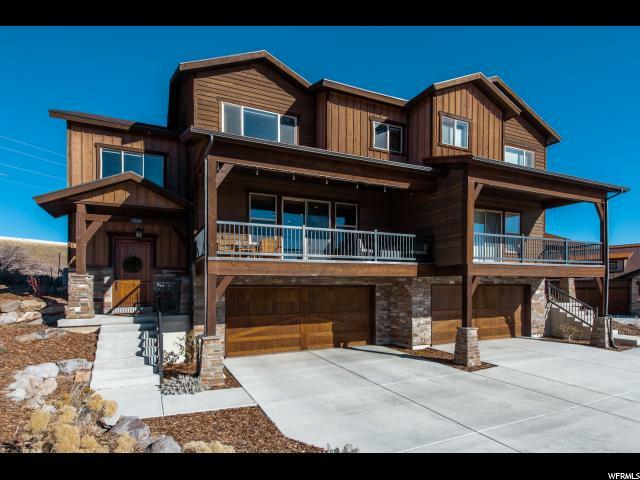 Located in the Heber/Wasatch school district and just a short drive to Park City and Kamas. " "Enjoy the flexibility of Direct Highway Driving in all directions once you Leave the Rustler neighborhood in Hideout Canyon. Minutes to the Deer Valley Gondola for Skiing. Or Head East toward the Uintah Mountains for hiking, Snowshoeing or SUP on one of the many still water lakes. Boating and fishing on the Jordenelle. Old Town Park City is always an option as well for Dining, Movies and Concerts. Yes you are in the center of All the activities you can imagine so please come visit This Rustler Townhome." 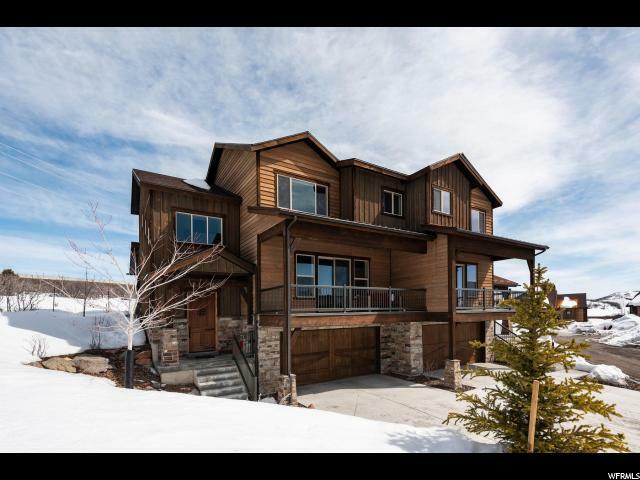 "Beautifully appointed cul-de-sac Rustler with breathtaking views of Deer valley and Mount Timpanogos. Just minutes to Park City with the peace of the Jordanelle. Open and spacious floorplan offers 4 bedrooms and 4 bathrooms with a master bedroom suite with 2 bedrooms and 1 bathroom upstairs and a guest suite downstairs. Built just 2 years ago and full of upgrades; wide plank ceramic tile floors throughout, entertainers kitchen, stained wood accents, and custom tiled laundry room. HOA covers all exterior maintenance." 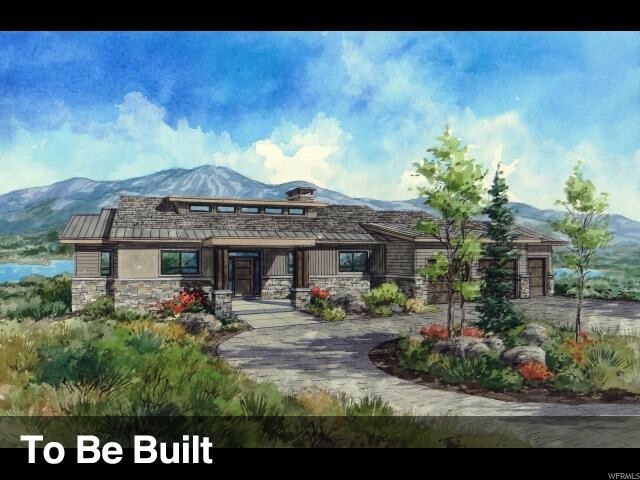 "One of the few homes in Rustler with w/ views of Jordanelle, Timp and the Wasatch Back! Enjoy 4 bedrooms 3 1/2 baths, upgraded tile flooring, massive master suite, granite counter tops, spacious living area, with a beautiful fireplace focal point. One of the most efficient homes on the market (means low utility bills). Spacious garage with room for toys as well as your cars. " "This ideal mountain contemporary 4-bedroom rustler townhouse is situated at the end of the development adjacent to open space and views of the undisturbed hillside. South facing exposure with lots of natural light makes this open floor plan very light and airy. The open kitchen has both bar and informal dining, stainless steel Kitchen aid appliances, large pantry and modern details. The adjoining living room has a floor to ceiling rock fireplace and ample room for large gatherings. Upstairs is the master suite with vaulted ceilings with tons of natural light. The master bath offers oversized soaker tub, separate large shower, 2 vanities and a large walk-in closet. Two additional bedrooms, full bath and laundry finish off the third level. The fourth bedroom is located on the lower level with private bathroom. Hunter Douglas shades can be found throughout this beautiful town home. The Outlaw Golf Course the 9- hole public course is just down the road along with the communities hiking and biking trails. "